Way back in the 30th Century, four friends gathered together in their clubhouse to take a solemn oath, to use their powers only for good and to take the world of comics back to a place it had never been before and set up a comic shop with a retro futuristic outlook. Thus in 1994 was born 30th Century Comics, and in the course of the ensuing 25 years, through trials, tribulations, fires, hardships and joys a legend was forged. Although one of the friends fell along the way, the remaining trio like to think he would be proud of the enterprise we have become, the sort of shop we’d all like to shop in. 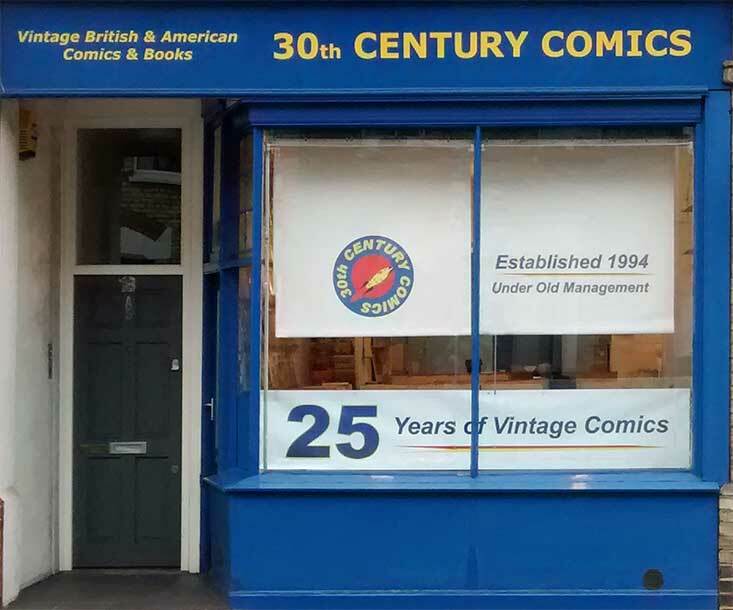 Join us as we celebrate 25 years of 30th Century Comics with stylish new blinds and a banner adorning our window, and dedicate our celebration to Peter, who is doubtless looking down from Shanghalla with a smile.